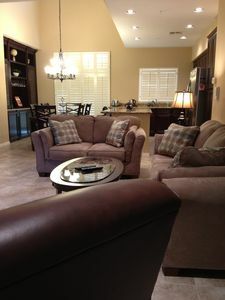 Live life in luxury when you stay at this upscale 4-bed, 3.5-bath vacation rental home! 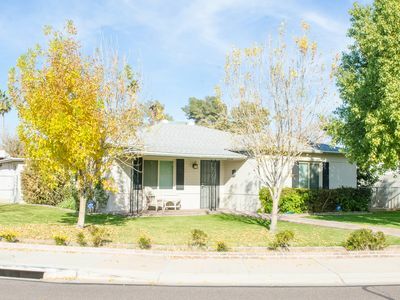 Situated in Arcadia, this tastefully appointed getaway boasts sleeping for 8, high-end furnishings, and a private pool and spa! 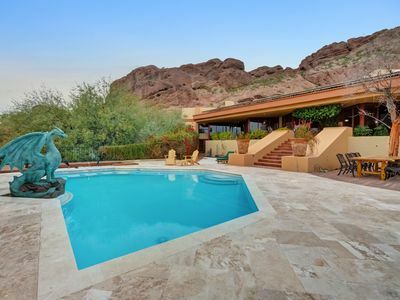 With numerous golf courses and casinos, old town Scottsdale, and downtown Phoenix all within minutes of the property, this extraordinary estate is the ultimate home base for all your adventures! 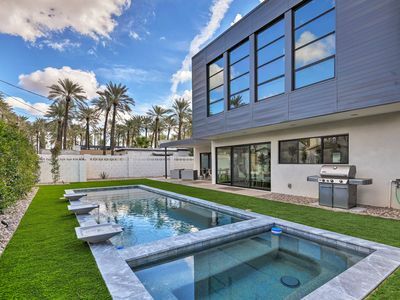 Cruise through the palm tree lined roads of Phoenix to find this 2-story abode designed with modern architecture. 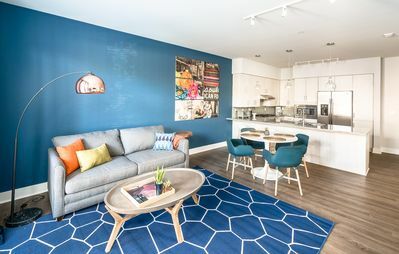 As you step inside the sprawling 2,400-square-foot interior, you're sure to fall in love with its lofty ceilings, sleek hardwood floors, and chic decor. Your favorite space will quickly become your private outdoor oasis complete with an inground pool, spa, plush patio furniture, and a lush lawn surrounded by a wall for privacy. 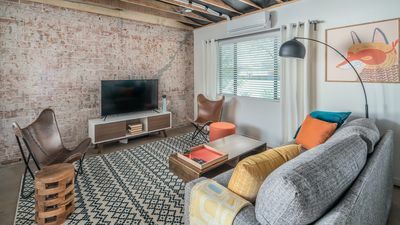 During downtime, kick back in the living room featuring a 75-inch flat-screen cable/Smart TV and furnishings from Restoration Hardware. When you want a breath of fresh air, simply stroll out to the patio to sip a glass of wine while lounging on the plush furniture! 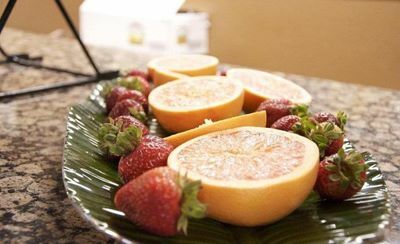 As the group grows hungry, get to work in the fully equipped kitchen stocked with stainless steel appliances, cookware, and dishware. 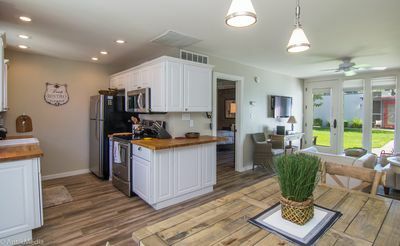 When all is prepped and ready, dine indoors or out - both areas offering seating for 6. 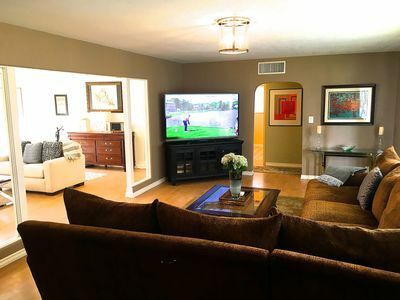 You'll love retreating to the master bedroom at day's end, as it offers a sumptuous king bed, flat-screen cable/Smart TV, and massive walk-in closet. Additionally, there's an en-suite bathroom with a double vanity and walk-in shower. 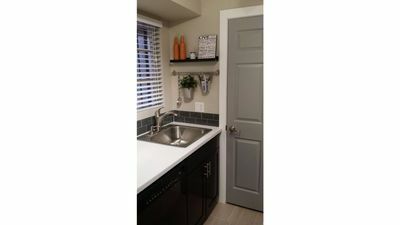 Everyone is sure to sleep soundly throughout the rest of the home's 3 bedrooms, all including either queen or full beds. Additional sleeping can be found in the study using the comfortable leather couch. 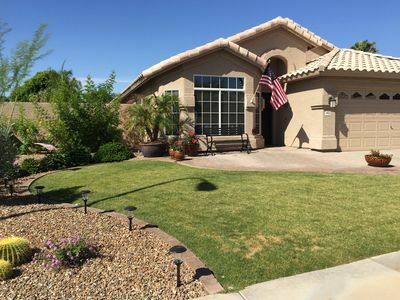 With this home's fantastic location, you can easily access all that the area has to offer! 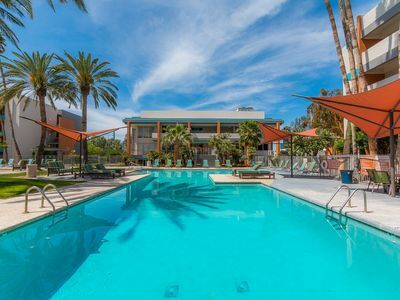 Just 10 minutes away is old town Scottsdale, home to Scottsdale Stadium, the Scottsdale Museum of Contemporary Art, and Scottsdale Fashion Square. 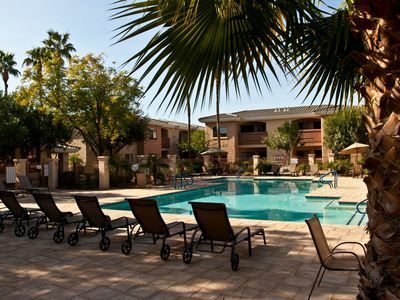 A short walk is all that stands between you and Kachina Park, the Arizona Canal Trail, and several great restaurants! Head over to La Grande Orange for a slice of pizza or meander over to East Indian School Road to find tasty eateries like Doughbird, The Vig Arcadia, and The Attic Ale House. 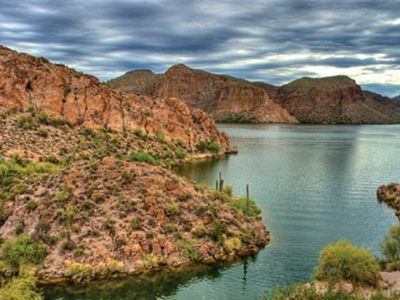 If you're feeling lucky, drive 20 minutes over to Talking Stick Resort to test your skills at the casino! 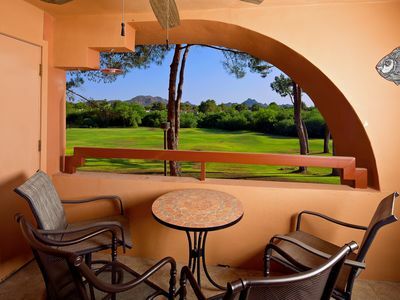 This area also hosts the Talking Stick Golf Club, baseball games at Salt River Fields, and The Pavilions. 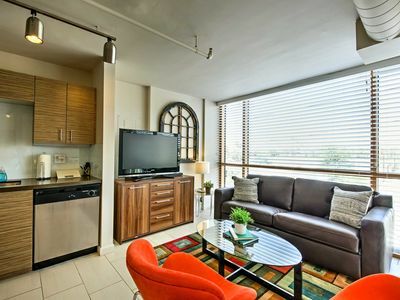 - Amenities include a fully equipped kitchen, cookware, dishware, gas grill, 4 flat-screen Smart TVs with cox cable, free WiFi, central heating and air conditioning, linens, towels, in-unit laundry machines, complimentary toiletries, a furnished patio, private pool, Jacuzzi, patio furniture, fenced-in backyard, driveway parking for 2 vehicles, and more! 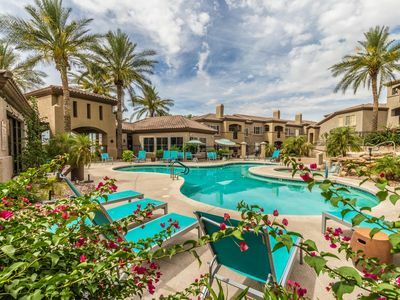 - Amazing Arcadia Location - A short walk from many restaurants and only minutes from the various attractions of Scottsdale, downtown Phoenix, activities at Talking Stick! 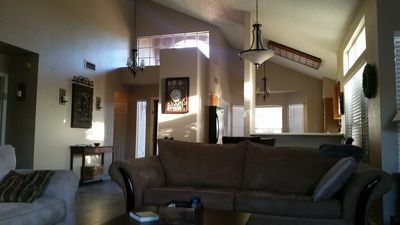 Beautifully decorated condo in Biltmore Area. Pool, Spa, BBQ and fitness room. Learn about American Indian arts and culture! NEW! 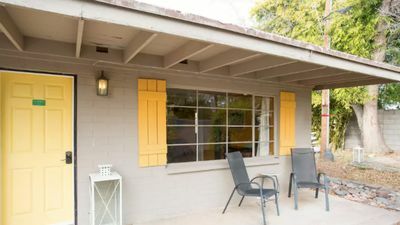 Upscale Phoenix Studio 10 Mins to Downtown!